China is an attractive and lucrative market to enter into, but many are not aware of the challenges and risks involved in entering the market. One method of entering the market is by creating a joint venture (JV) between a foreign entity and a Chinese entity. A JV is an enterprise undertaken by two or more parties where they pool their resources to accomplish a common business purpose. It is similar to a partnership, but, whilst a partnership is generally formed for a long-term, open-ended business purpose, a JV is usually for a narrowly defined or short-term business purpose. In China, JVs are typically limited to a fixed term which is set forth in the JV contract. Note that certain industries (land development and real estate, natural resource exploration and exploitation, all of which are restricted) have a fixed term. Note too that the JV business purpose must be approved by the governmental authority and such purpose must be brief and specific (this is often the subject of negotiation between investors and government pre establishment of the JV). In China, entrance into certain industries requires local partners (see the PRC Foreign Investment Industrial Guidance Catalogue). But, setting aside the regulatory requirements- local partners are more likely to have the appropriate necessary government relationships, more aware of the applicable regulations and more able to actively push through deals as a result of their intimate knowledge of the local market and players therein. Remember too that business in China is done in Chinese and the governing language of any contract you enter into will also be Chinese- another reason why local partnerships are important. Companies like Sony and Microsoft are but two recent examples of large entities aware of the benefits of and the need to set up JVs in China. Sony is setting up two joint ventures in China to make and sell PlayStation consoles and games. Its partner is the Shanghai Oriental Pearl Group, a company active in the fields of tourism, real estate, media, and investments. One of the ventures will be 51% owned by Shanghai Oriental Pearl Culture Development and 49% by Sony’s Chinese operation. The other venture will be 30% owned by Shanghai Pearl and 70% by Sony. (Note: We mention the percentage holdings but as we discuss below- majority control does not necessarily mean actual control of the JV when it comes to China). Microsoft announced a similar joint venture to bring its Xbox game consoles to China. Video game consoles were banned from China from 2000 until January of 2014, due to claims that they could damage the mental health of Chinese young people. We discussed the need for a Chinese partner in order to do business effectively in China and therefore the need to form a JV, but outside of formation, what are some concrete advantages and disadvantages of Chinese JVs? The blog further notes and warns that using the services of a Chinese lawyer will not necessarily protect the foreign partner, as Chinese lawyers hired by foreign firms have been known to actually work on behalf of the Chinese partner (even so far as receiving a bonus from the Chinese partner). Make clear in the joint venture agreement that the General Manager is an employee of the joint venture – not of the Chinese partner. Ensure that the majority owner of the JV has the right to appoint and remove the Legal Representative. Ensure that the party with the controlling interest in the JV has the right to control the chop. Make the official version of the contract the one in Chinese, so that it has a better chance of being enforced by Chinese arbitrators and courts. 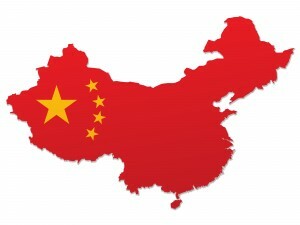 In the event that you are interested in doing business in China and would like to form a JV, Shaked & Co. recommends that you consult with a firm experienced in dealing with China and the bureaucratic, regulatory and legal issues that arise therefrom.